Why have my Facebook Group members reduced? 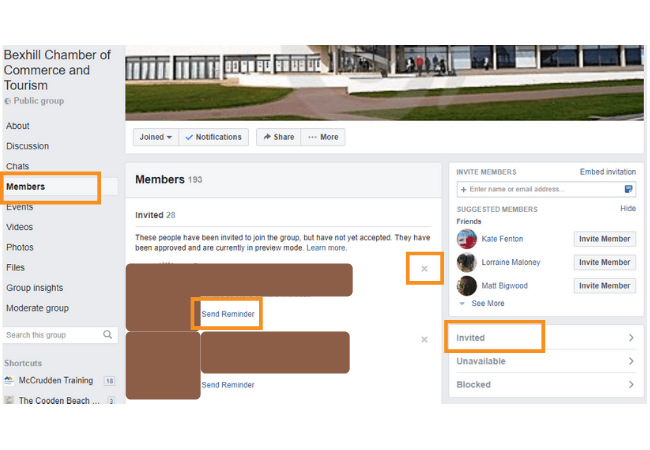 Are you an admin of a Facebook Group? Have you noticed a decrease in the total number of members yet? This is because Facebook is making changes to how groups work. 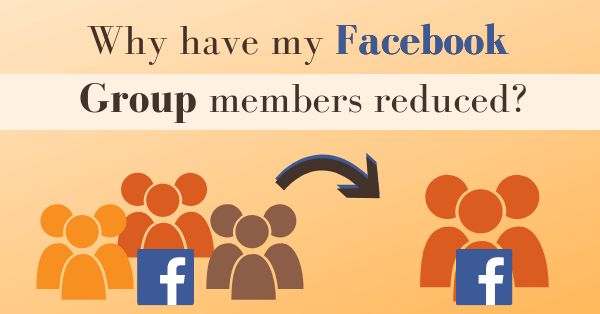 Previously people could be added to Facebook Groups by friends and they’d immediately become a member of the group. Despite potentially having no interest in the subject of the group or engaging in conversations within the group. But now, if you’re invited to a group you have to accept or decline the invite. You’re no longer an automatic group member. Hooray! 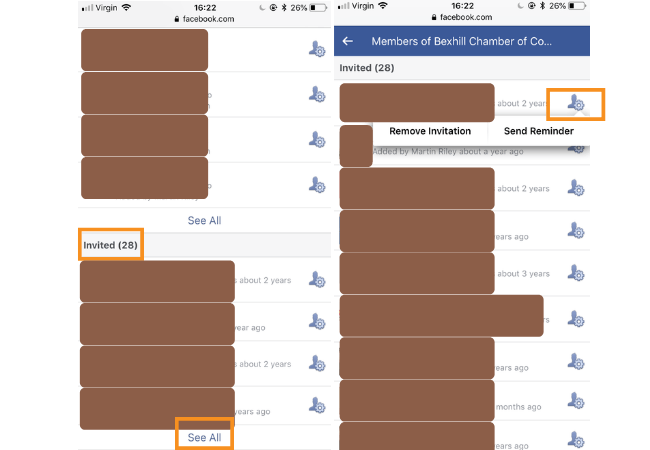 Over the course of the next few weeks the people who have been added to your group – but have never visited the group, will now appear in the the ‘Invited Section’ of your members list. This section is only available for admins and moderators of the group to view. 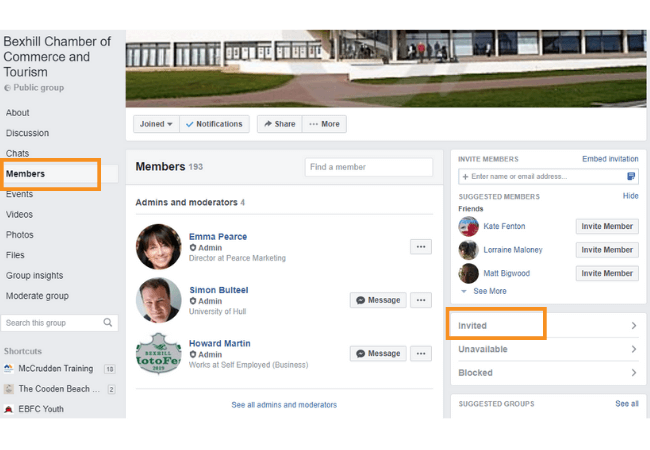 Whilst this is still being rolled out by Facebook, it’s allowing group admins to send one notification to invited people. This is to remind them to accept or decline the invite to your group. Until they accept the invite, people will not considered a member of the group. This is why you’ll start to see a decrease in the overall total number of members if you haven’t done so already. Beforehand these people used to be counted in the total number of members. How do I find the new Invited section? On the right hand side, you’ll see a section with three items: Invited, Unavailable and Blocked. Click on invited. Underneath each name there is a ‘Send Reminder’ link, this is inviting to be a member of the group. Or the ‘x’ icon to the right of their name which is to remove them from the group/invite list. If you’re thinking you’re a little stuck when it comes to your Facebook business page, treat yourself to a Facebook training session! 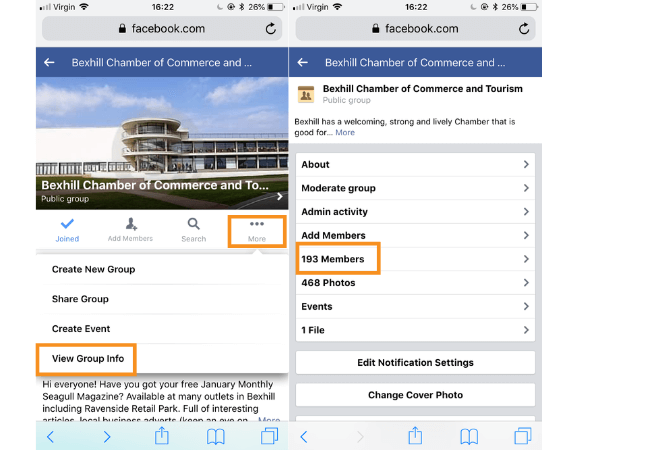 Please share this post with anyone you know who manages a Facebook Group. We’d love to help your business. Please contact us if you have questions! Read more Facebook blogs with lots of free tips and advice.